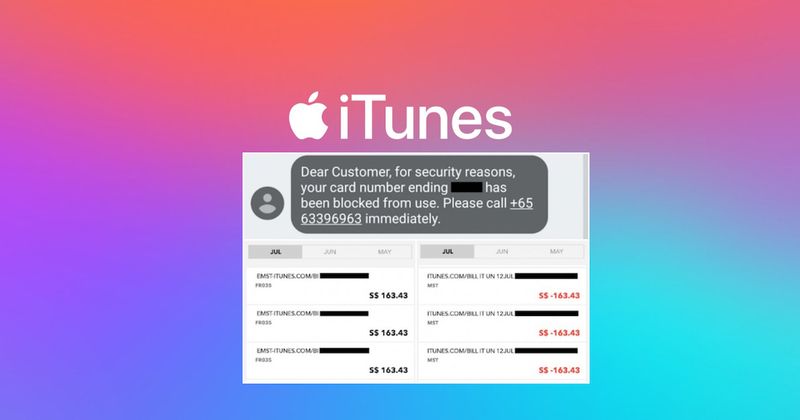 Dozens of people have recently fallen victim to a series of fraudulent transactions made on the Apple iTunes’ platform. They reported that hundreds to thousands of dollars were deducted from their bank accounts for transactions they did not make to the Apple App Store this month. Some were billed repeatedly for payments made to a single app. Customers of most major banks such as DBS, OCBC, UOB, Maybank and Standard Chartered are affected. Chen Yi Ling, 25, had not used Apple’s services or products for at least five years, but she still fell prey to this fraudulent activity. According to The Straits Times, she had over $4,4000 deducted in 27 transactions of $163.43 from her DBS account on July 11. She was only notified of this when she received a message from DBS saying that her card had been blocked. Apple has since terminated her account, and DBS has refunded her 20 of the 27 transactions on Thursday. But this was apparently not the worst case. 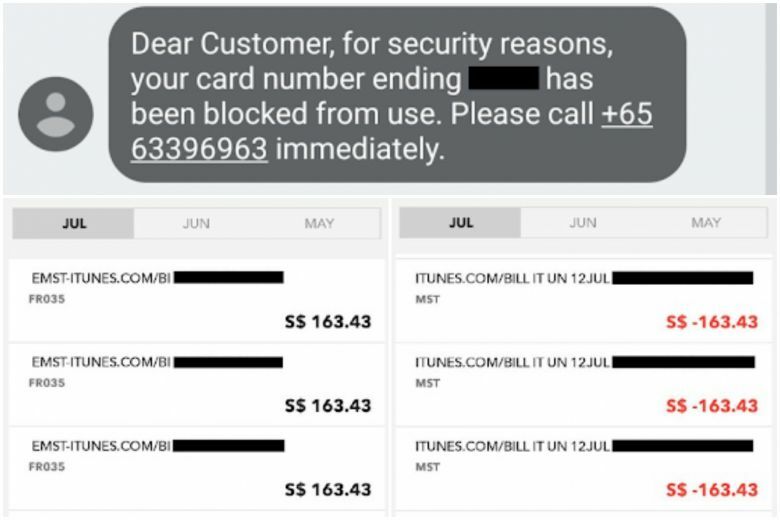 One victim who prefers to remain anonymous, told Channel NewsAsia that over $7,000 worth of iTunes transactions were charged to her HSBC credit card. When she contacted Apple regarding this, the senior adviser “repeatedly” told her that they are unable to refund her the disputed amount. “This is a case of credit card fraud, which is not due to Apple and/or iTunes at all,” she said, citing the Apple staff. She was also told that her credit card may have been used for online purchases other than Apple, resulting in the fraudulent transactions. However, the victim insists that she only uses her card for purchases on Apple’s App Store. OCBC Bank’s head of credit cards Vincent Tan told The Straits Times that the bank had detected unusual transactions on 58 cardholders’ accounts in early July. He added that they these transactions could be a result of issues on third-party websites. Called phishing, fraudsters could have tricked users into typing their personal details such as e-mail addresses, credit card details, user names and passwords into fake websites that look legit. Alternatively, they could have purchased these information in bulk from hackers who put up these stolen data for sale online. Regardless, he advises cardholders to “be vigilant when transacting on third-party sites” and to immediately report any suspicious activities in their bank account.